Bring dawn all ingredients and reach 75000 points to complete the level. 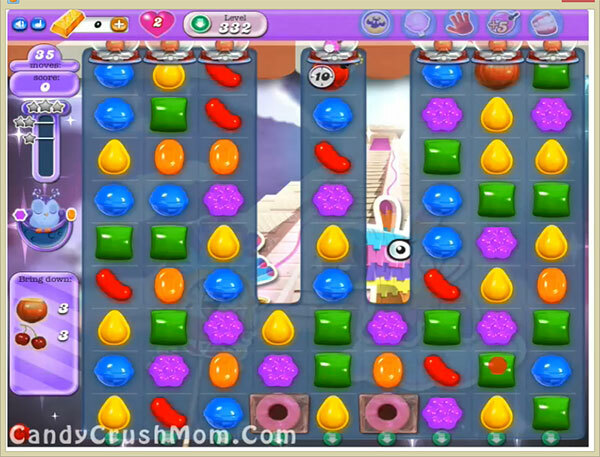 This level have normal difficulty and you need to use good strategy to complete this level without wasting lives. For this level first try to play from bottom so candies will shuffle every where plus make special candy any where you get chance. Then try to play near to ingredients to take them to the bottom and before last remaining move you might have luck that could take all ingredients to the bottom. We completed this level with 123260 score using above technique that we share plus got three star score at the end of the level.